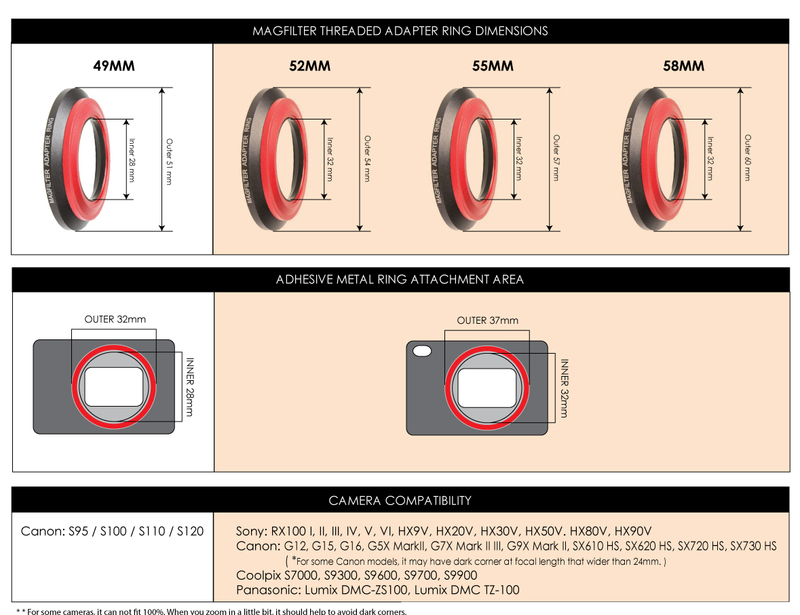 The MagFilter System uses a thin, low profile, metal adhesive ring to attach to the front of your compact camera lens. When you're ready to use your filter, the MagFilter attaches through strong magnets built into the MagFilter Adapter Body. Choose the size you need, and the kit will come with the threaded MagFilter adapter along with (2) adhesive metal rings - one spare. The 49mm version MagFilter Threaded Adapter shown with Canon S100. (1) 1pcs MagFilter Threaded Adapter Ring (choose one during checkout).